We offer emergency plumbing repair services so we can get plumbing situations under control as soon as possible to minimize damage to your property. Our team is on call to take care of plumbing issues quickly and efficiently. If you need immediate plumbing repairs in West LA or Beverly Hills, CA, contact us now (310) 454-2010. Don’t wait until the problem becomes unmanageable. An overflowing toilet or a broken pipe requires expensive repairs, whereas the clog that caused them is a simple fix. In the event of a gas line break or leak, shut off the gas to your home intermediately and get everyone out of your home. Gas leaks can be deadly and you never want to stay inside a building that has a broken gas line. Call for emergency plumbing repair services to get the pipe taken care of right away. Leaky Faucet & Pipes Repair – A faucet that is constantly dripping is not only obnoxious but wastes water and increases your monthly bill. Contact us for fast and affordable faucet repairs. Garbage Disposal Repair & Replacement – If your garbage disposal is refusing to work properly and you can’t find the source of the issue, give us a call and one of our technicians will come out and get repairs underway fast. Clogged Drains & Pipes – Clogged drains can cause serious trouble in your plumbing system if left for too long. Clogs can lead to expensive pipe replacement or complicated home repairs if a sink or toilet overflows. Slab Leak Detection – Leaks under your house can cause severe damage to the foundation. A camera inspection is a quick way to evaluate the pipelines under your house and pinpoint any potential problems. 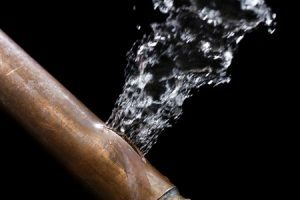 Trenchless Pipe & Plumbing Repair – Traditional methods of pipe replacement can be pricey and requires tearing up your property to get to the pipeline. With trenchless pipe repair, our team can remove broken pipeline and replace it with little mess. Sewer Relining – If replacing part of the sewer line is not within your budget, relining the pipe is a quick and affordable way to get your sewer line working properly again. Our plumbing experts can get your sewer pipe repaired in no time without have to destroy your lawn or property while doing so. Updated on June 15, 2016 at 6:09 pm by Sunset West Plumbing & Rooter. Sunset West Plumbing & Rooter Inc.